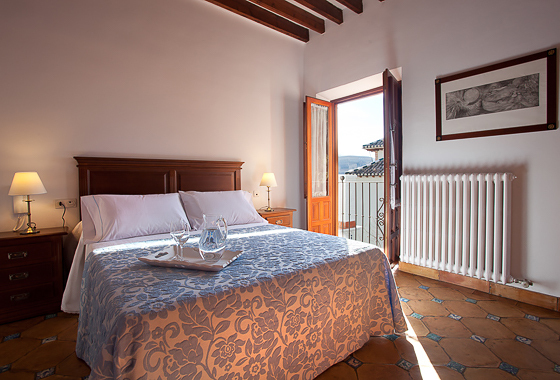 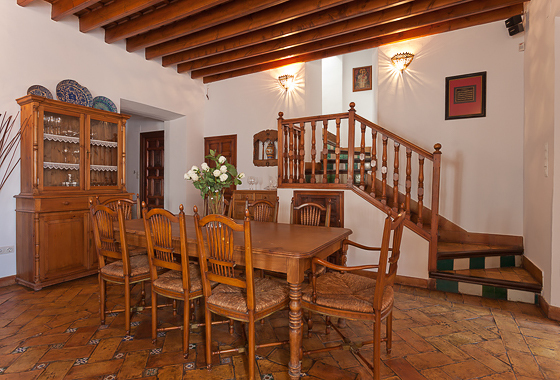 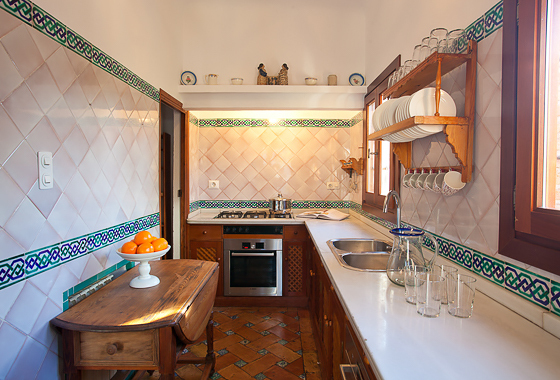 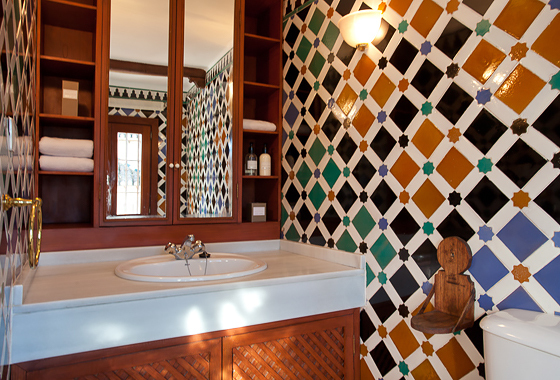 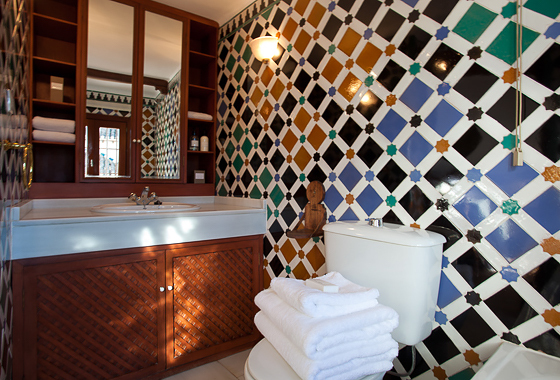 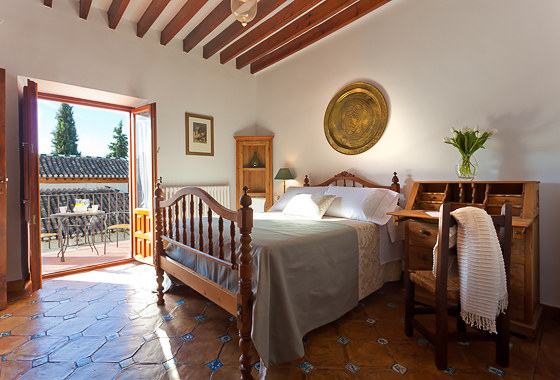 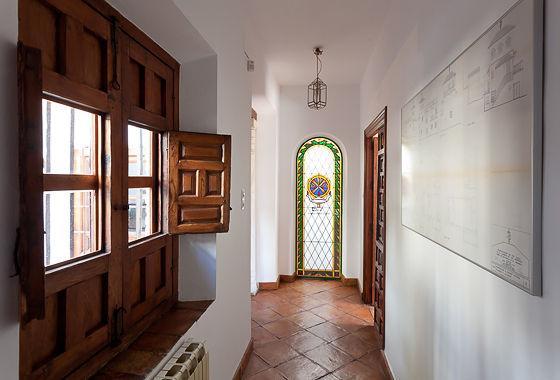 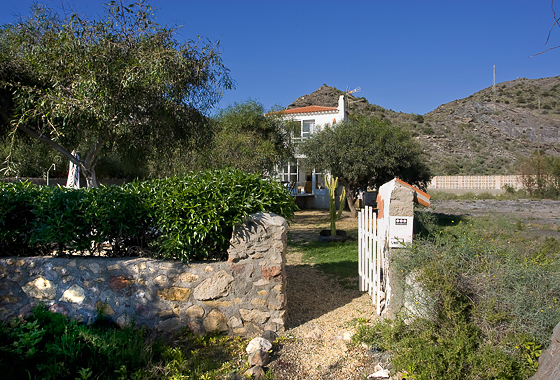 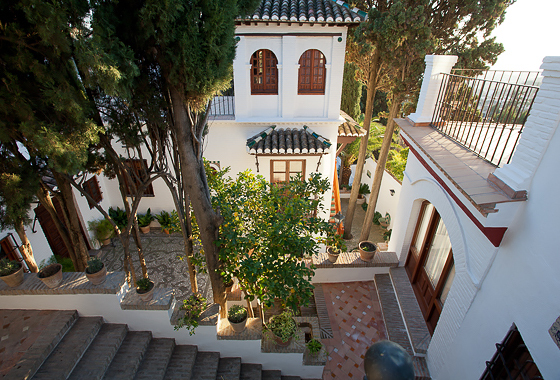 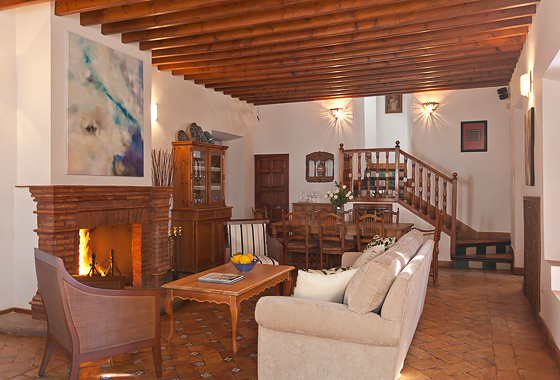 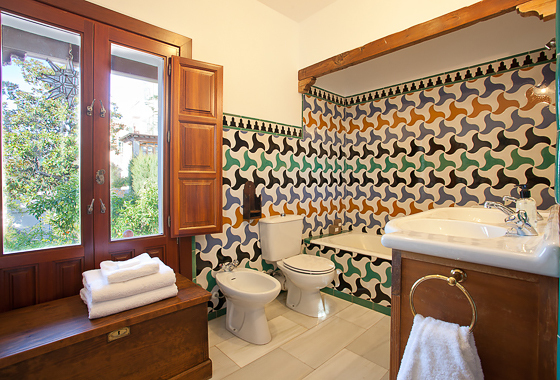 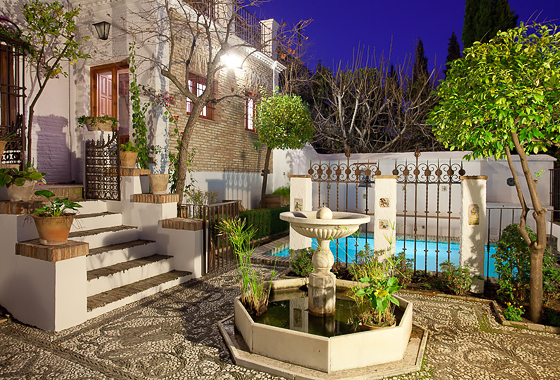 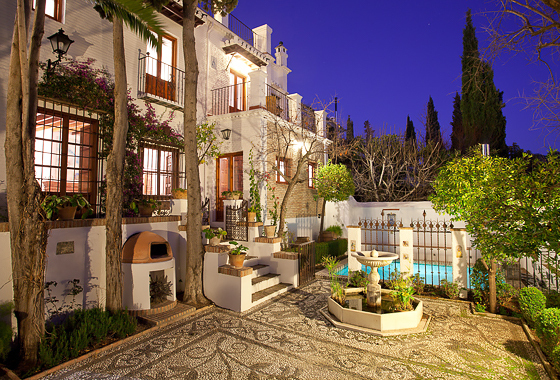 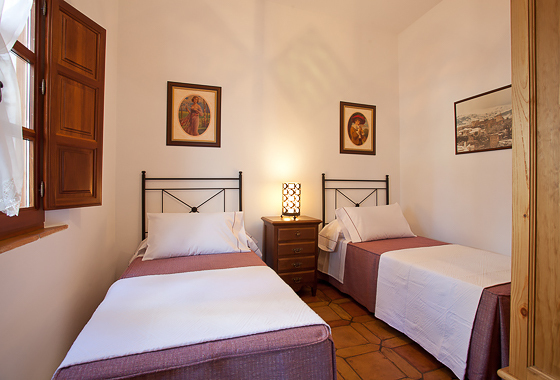 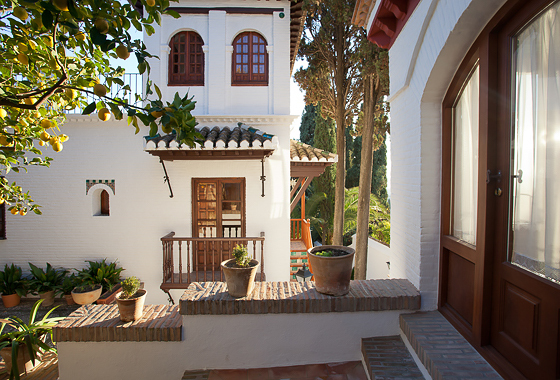 The house is located in the Albaicin, one of the most authentic and atmospheric place of the city. 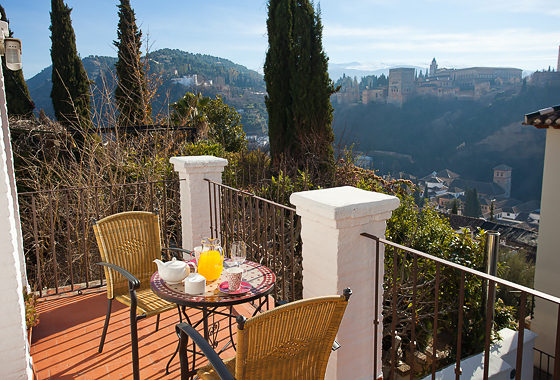 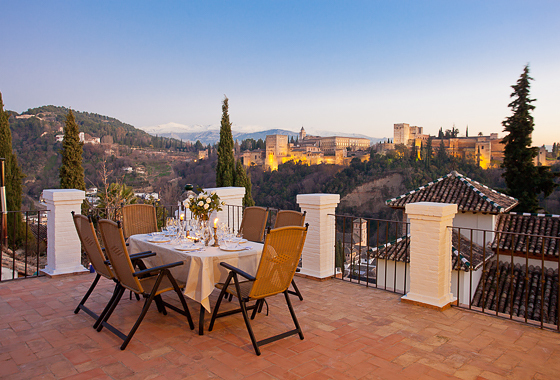 With traditional white-washed Andalucian houses, flower-filled patios and tiny tabernas, this quintessential Granada area clambers up the hill overlooking the Alhambra. 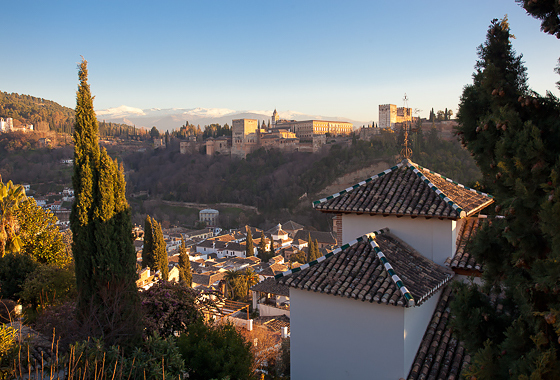 The Mirador de San Nicolas at the very top of the hill is the place to go in the early evening as the sun sets spectacularly over the Alhambra. 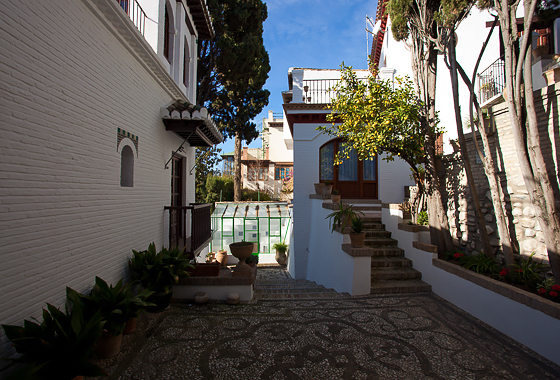 Albaicin is a tranquil and quiet place, and gives visitors a unique opportunity to soak up the city’s history and charm. 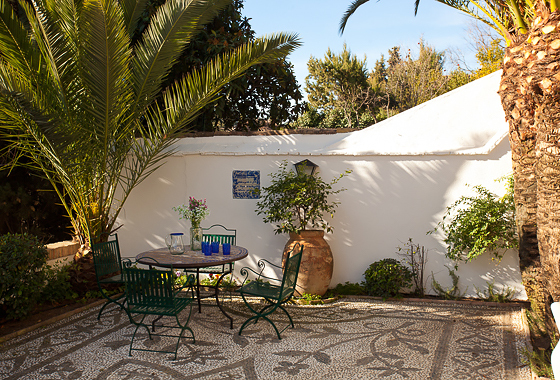 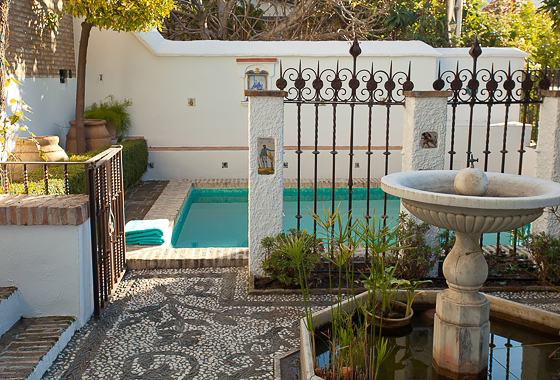 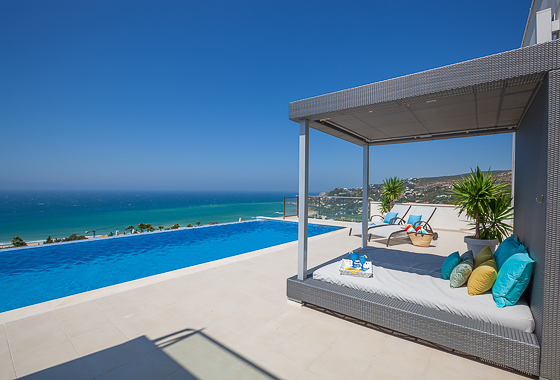 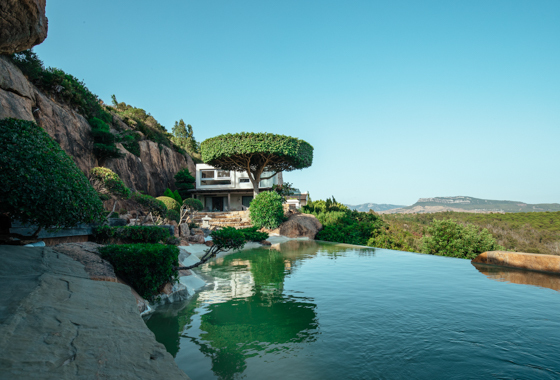 Furnished and decorated with the utmost care by the owner, this beautiful house is an effortless blend of classical Andalusian style and modern comforts and conveniences. 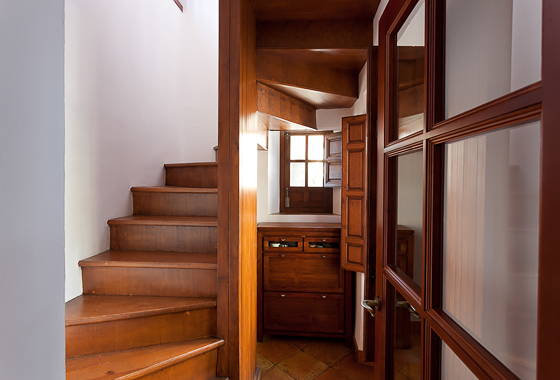 Access to the property through this level. 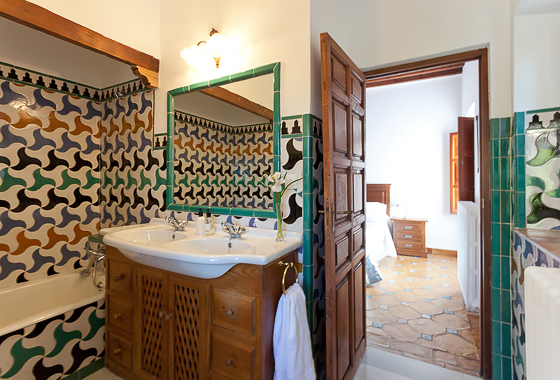 Bedroom 3: The second bedroom features a double-bed (1.50cm) ensuite bathroom (shower), AC, and a small balcony with beautiful views to the Alhambra. 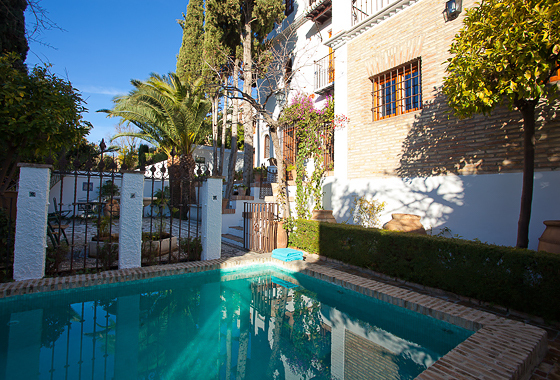 From this level the guests can access to the beautiful outdoor area where the garden and the swimming pool is located. 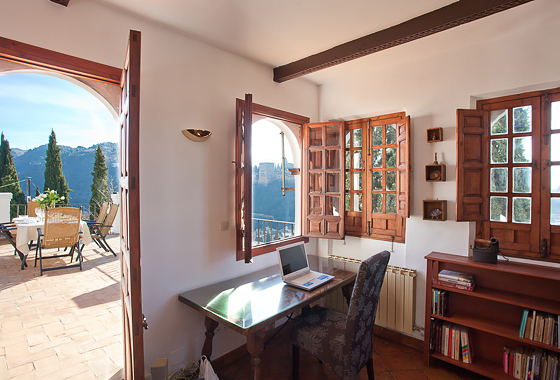 Lovely space with an office area with a desk and library opens up to the roof-top terrace. 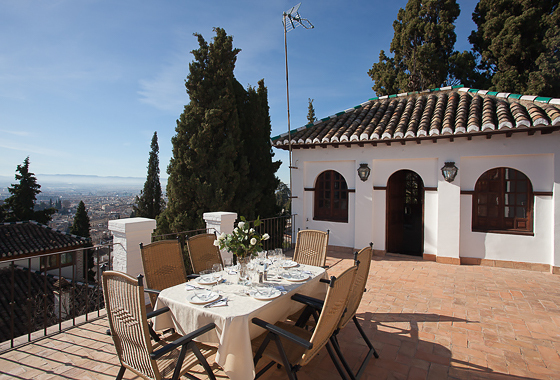 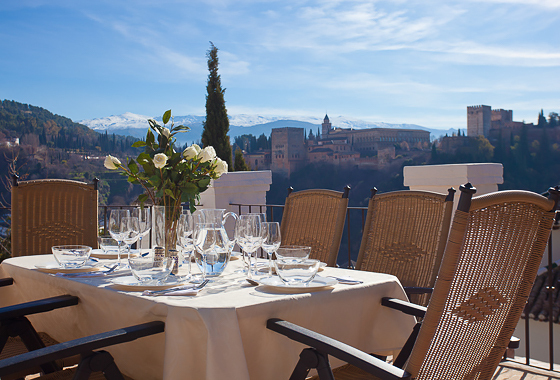 Roof-top terrace is a real highlight – with unbeatable views to the Alhambra and Sierra Nevada where the guests can enjoy an al-fresco meal with a difference.